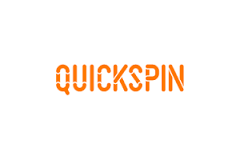 QuickSpin is setting the scene for yet another great adventure in Ark of Mystery video slot. In fact, this game seems to be taken straight out of Hollywood with its Heroine Anna, who somewhat looks like Lara C, if we may say. And very much like her cousin, Anna is also seeking ancient relics. And she has her eye set on one of the most precious artifacts of all, the ark of the covenant. Granted that many explorers have searched for the book of exodus treasure, yet it’s still missing. But in Ark of Mystery video slot, you’ll have the chance to find it and reap the rewards that come with it. In fact, this game gives you the possibility to win huge multipliers up to 22x. So, even if the ark you’ll find is a virtual one, it can quickly help you get your hands on real riches! Bonuses & features: Re-Spins, Sticky Wilds, Expanding wilds, and Multipliers. Highest-paying symbol: 5 Anna symbols on an active paylines reward you with 50x your stake. To sum up, the gameplay of Ark of Mystery Video Slot evolves around 3 features and below you’ll learn about them. 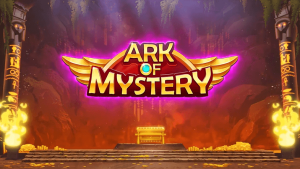 Since Ark of Mystery doesn’t offer a Free Spins bonus, the closest thing to that feature is the Wild Ark Re-Spins or the Re-Spins with Sticky and Expanding wilds in every day’s terms. In fact, this feature can reward you with 6 Re-Spins. To activate this bonus an Ark symbol will need to land on the second, third or fourth reel. After that, all Ark symbol will stick to the reels and expand either horizontally or vertically to give you more winning possibilities as the reels continue spinning. The number of Re-Spin you’ll get entirely depends on the amount of Ark symbols that landed in view. However, it’s worth knowing that if more Arks appear on the reels, extra re-spins are added to your total. Your key to unlocking the biggest wins of all is to get a Multiplier Pyramid on the fifth reel. In fact, every pyramid symbol that land in view will increase the multiplier index by 1x. Also, it’s worth knowing that the multiplier will continue increasing as long as you win and new pyramid symbols appear. The maximum multiplier awarded via this feature is 22x. As for most QuickSpin games, this Video Slot also has excellent graphics and a good soundtrack. All and all, this slot will undoubtedly appeal to the savvy players given its volatility index. However, everyday pleasure-seekers should enjoy this game too especially if they play with a casino bonus to have a long casino session. Get your hands on riches at any casinos listed on this site and have fun!